Super Mario Party for Switch Announced | Nerd Much? Nintendo announced during their E3 Direct what looks to be a reboot of the Mario Party series. 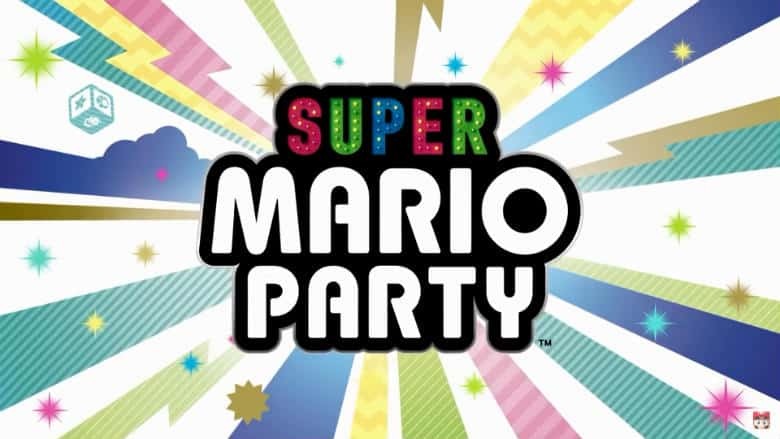 The company dropped the first trailer and declared that Super Mario Party is coming to Switch this year. “The original board game style has been kicked up a notch with deeper strategic elements, like specific Dice Blocks for each character. The game also introduces all-new ways to play, including Joy-Con controller enabled minigames, and new modes to enjoy with family and friends. As hinted at above, the trailer looks as though it introduces the first real application of the patent Nintendo had filed not too long ago. A minigame is featured that utilizes two Nintendo Switch’s laying flat on a table. The group playing take their time to lay the devices side by side with strategic positioning. The two Switches could tell what the exact orientation was of its nearby sibling, and the minigame the group was playing had its environments adapt accoringly. While Super Mario Party just made its first debut today, we really don’t have long to wait before we can begin rolling the dice. The title comes to Nintendo Switch on Friday, October 5th.